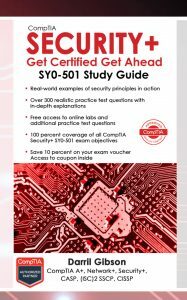 You Can Pass the CompTIA A+ Exam. The CompTIA A+ certification is the starting point for a career in Information Technology (IT). You earn it by passing two exams. The exams cover maintenance of PCs, mobile devices and operating systems. 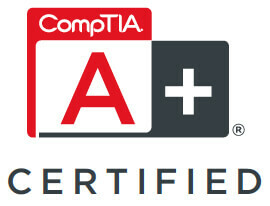 CompTIA reports that more than 900,000 people have earned the A+ certification. You can earn it too. Since CompTIA began adding in the new performance based questions, the total number of questions varies. If you get more performance based questions, you’ll get fewer multiple-choice questions. CompTIA updates all of the certifications after about three years. The 800 series exams expired June 30, 2016 and the new 900 series was launched December 15, 2015. CompTIA always provides a long notification and overlap period. In other words, when the next series goes live, you’ll have a long time to complete your studies in the 900 series. Blogs on the Get Certified Get Ahead blog page. You can download the full 220-901 objectives here. CompTIA requires you to fill out a form but you don’t need to include real information. You’ll have access to the objectives immediately. You can download the full 220-902 objectives here. CompTIA requires you to fill out a form but you don’t need to include real information. You’ll have access to the objectives immediately.